We had the privilege of taking part in a traditional PNG meal with a national Pastor and his wife. The meal was at a fellow missionary's house. It was called Mamboo and was very good! It started with lots of cutting up and dicing of the ingredients..... Our cookware is shown above.....fresh cut bambo. All the ingredients were then packed into the bambo and a specific leaf was packed in last to seal it all. They were then placed in the fire and rotated as needed. The moisture in the bambo and the semi-sealed end made the whole thing like a pressure cooker. After a couple hours the food was all done, and I (Brian) must say it was delicious!! 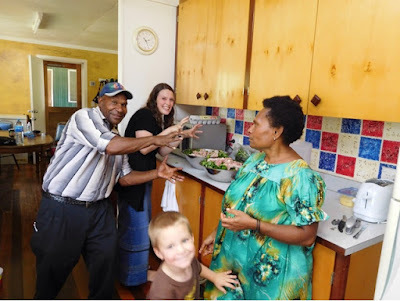 The whole process was an adventure in and of it self, but with it was a great opportunity to talk with Pastor Rex and his wife regarding life and ministry in PNG. 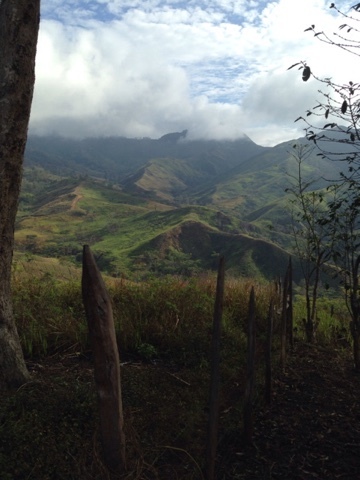 We have started the awaited survey trip to Papua New Guinea. We left Sunday November 1st and flew to Los Angles, CA. 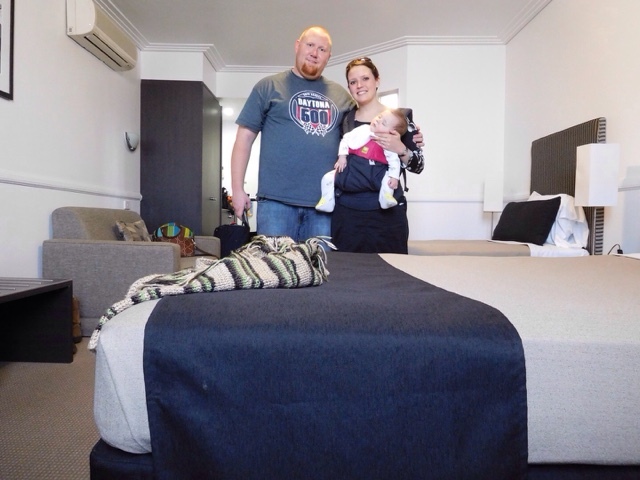 After a few hour layover, we flew to Brisbane, Australia where we currently are. We are truly blessed to share that the journey has gone well so far, and Gunner has been doing great! We give God the Gory for that and truly do covet your prayers. Tomorrow morning, Wednesday....kind of crazy we lost Monday in the flight and time change....we will start the first of two flights to Goroka, PNG.